To people who are not blessed with full and attractive eyelashes, it’s always a struggle to find ways on how you could make it thicker and fuller. Fact is, you’ve probably tried tons of mascara and eyelash products to keep them on fleek but to no avail. Because of this, you’re left with one option which is undergoing eyelash extensions. As appealing as it may sound like, you’ve probably had your own worries and concerns on this procedure. If you simply believe what others have said and thought about it, you might as well never consider this choice in the first place. 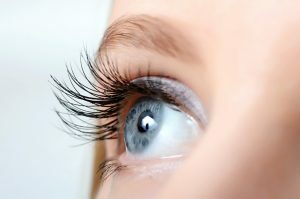 This is why to help make up your mind on eyelash extension; this post will debunk the most common myths surrounding it. Below are some of them. People who’ve never tried eyelash extensions have this fear that once they undergo to this procedure, they’ll never grow their lashes back ever again. This is obviously not at all true. Fact is, the lashes follow a routine shedding cycle so that you could grow more natural and healthier lashes. Otherwise, you wouldn’t get any fills right? Besides, extension procedures are performed to give you full-volume lashes in in Las Vegas. There is, in fact, no pain involved. Now, if your argument is about people’s level of pain tolerance, there isn’t. You see, the method only involves adhesive and lashes strand that would individually stick to your lash line. However, if you opt to go for an eyelash transplant, there would be a real pain involved for that one. But as far as eyelash extension is a concern, this is a no pain procedure. If there’s one thing you need to understand clearly about your lashes falling out is, this is a natural process. In other words, with or without extensions, your eyelashes will fall out eventually. This is due to the follicles’ natural shedding cycle. So you can’t entirely blame it to the procedure. It just so happen that people often notice them whenever they’ve done extensions because they usually assume that the procedure affects the growth cycle of their lashes. When you notice that you’ve shed off five or more strands per day, it’s best to see a hair doctor immediately. The problem might be far more serious than you’ve expected. People always claim that extensions can disturb the natural growth process of the lashes. That’s why once they undergo this procedure, they often expect the worst from happening. The reason, however, that their lashes look thin and dry is because right after undergoing this procedure, you expect to see a fuller and longer lashes. Once the extension has been removed, it takes time to get used to how your lashes naturally look. The rumors surrounding eyelash extensions have been around for quite some time now. This is why it’s harder to dispel them and correct people’s misconception towards them. When it comes to concerns like this, it’s best to talk to someone who’ve undergone and is knowledgeable of the procedure to verify the things you already know.